Defenceman Josh Batch has become the fourth player to re-commit to the Cardiff Devils for the 2016-17 season. Batch, 25, returns for a sixth season after Ben Bowns, Mark Richardson and Joey Martin also re-signed. The Great Britain player featured in all 68 games for the Devils last season as the Elite League side won the Erhardt Conference title. 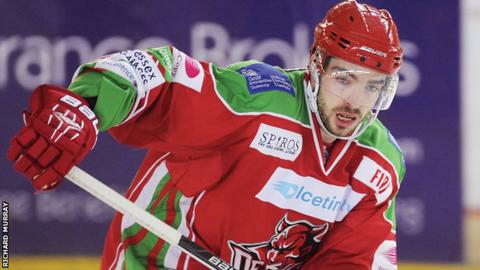 "Josh is only 25 years old and he continues to get better and better," said Devils coach Andrew Lord. "He is so consistent and was a big part of our success over the last two seasons." "We know we can count on him in the big games as well and we see him as an important part of the Devils for years to come."